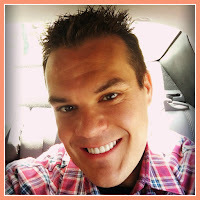 So Christmas is a tricky time for year for me and my blog. You see I have a lot of Christmas projects that I make and give to my family.  Well you see one of my brothers is a die hard supporter of Ken's Kreations. As amazing as this is, he sadly always see's his cards or gifts posted here before he gets them. Well this is no exception, Russ.....Merry Christmas! LOL!!! These ornaments were so simple to make. First you start off with Clear Glass Disc Ornament. This most resemble the size of an M&M. You take the cap of the ornaments and squeeze the acrylic pain into the top of the ornament. 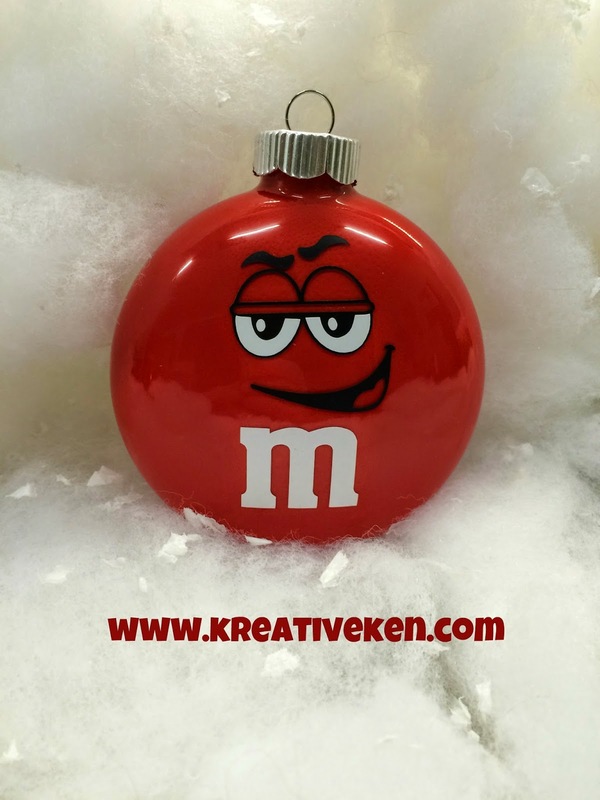 Simple rotate the Clear Glass Disc Ornament until the paint coats all of the inside of the ornaments. Then flip the Clear Glass Disc Ornament upside down onto a white piece of paper to let the excess paint run out of the Clear Glass Disc Ornament. This will usually take over night. Make sure to rotate the Clear Glass Disc Ornament every 15 minutes for the first hour so the ornament does not dry to the sheet of paper. Once you have all of you shopping items the actually ornaments are super easy to out together!! The SVG file will need to uploaded as a Vector file in Design Space. 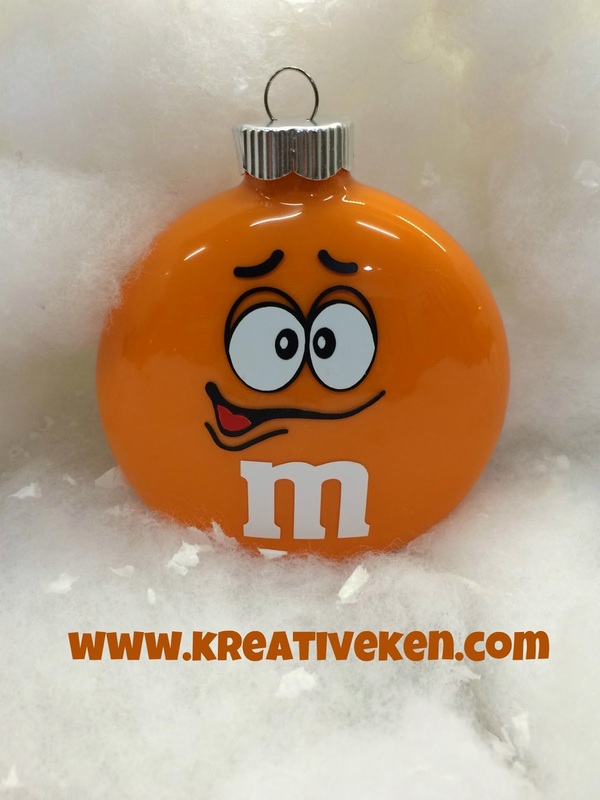 The image will need to be ungrouped and then draw a box around each individual M&M and group them separately. For my Clear Glass Disc Ornament the best size was a height of 2.75. 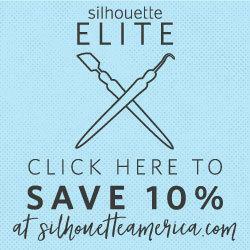 You will want to make sure you group and attach each layer depending on the color of vinyl used (i.e. : black eyes with mouth, white eyes with M) This will make layering much easier. 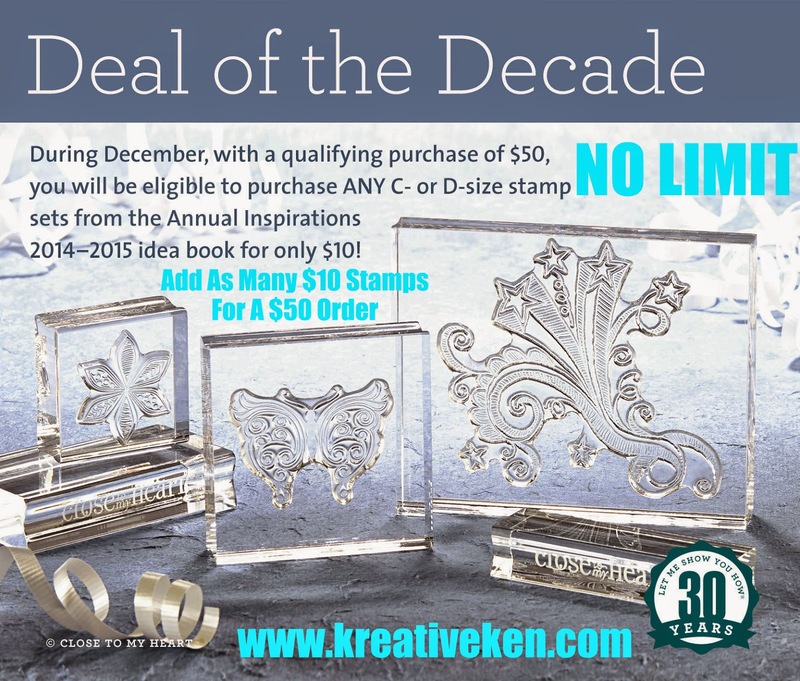 Make sure to clean the ornament off with windex before applying any vinyl and use Transfer Tape to apply each layer. 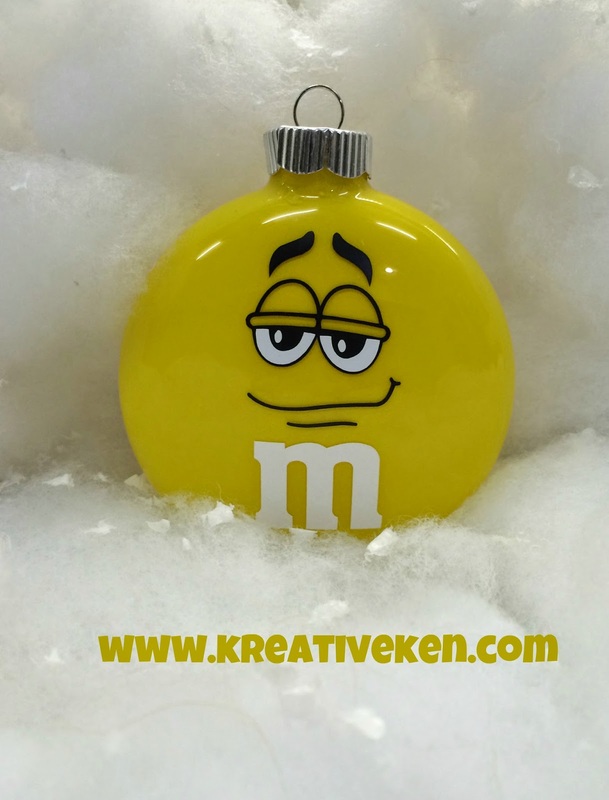 For the Yellow M&M you will need Yellow Paint, Black Vinyl and White Vinyl. I love the Yellow M&M peanut character and his fun little smile, so naturally i used the classic Yellow M&M face. 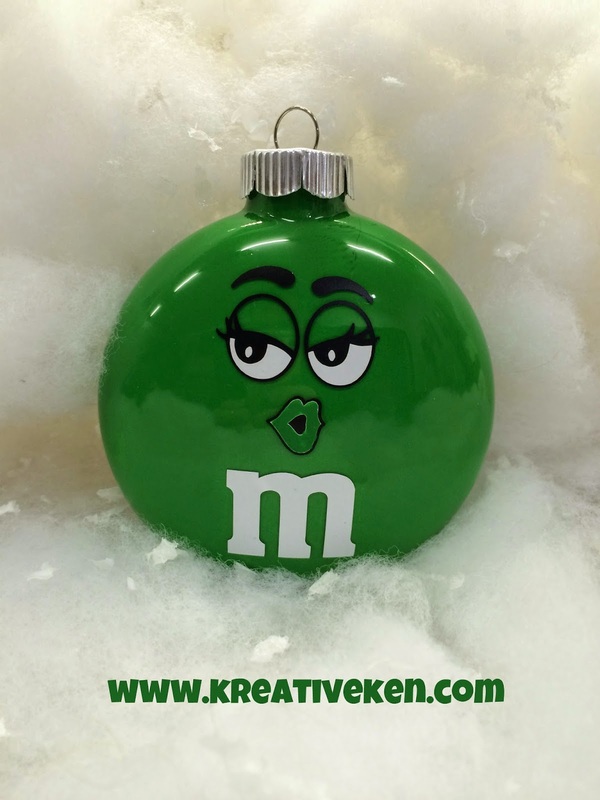 For the Green M&M you will need Green Paint, Black Vinyl, White Vinyl and Green Vinyl for her lips. Naturally since this was the only SVG out of the characters that had lips and eye lashes, they belonged to the sassy Green M&M girl. 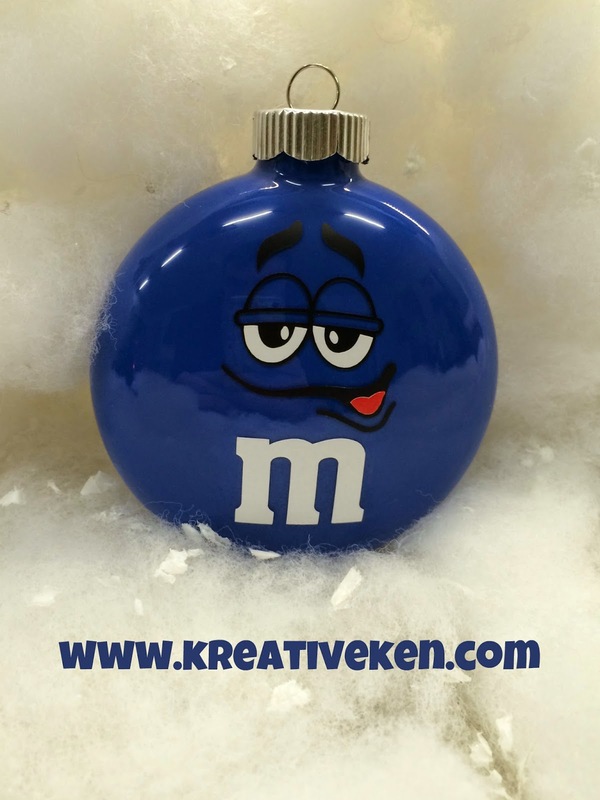 For the Blue M&M you will need Blue Paint, Black Vinyl, White Vinyl and Red Vinyl for his tongue. Now the Blue M&M was originally the crispy M&M character and he has a strong resemblance to the Yellow Peanut M&M, however the M&M SVG only had 4 faces. So I took the eyes from the Yellow M&M and the mouth from the Orange M&M and mirrored it in Design Space. This way it gave it a completely different look for his face. Sadly one of my favorite M&M characters was missing form this SVG set....Ms. Brown. I tried to find a clean SVG for her or try to make one of these work, however with her distinctive glasses I could not seem to either find one or reproduce her. Maybe before Christmas I will have some luck as my set is missing the Brains! Well I hope you enjoyed this Kreation, especially you Russ (Ken's Brother who is reading this now and getting a sneak peek of his stocking stuffer). Thanks for taking a look at today's project and make sure to check out the shopping list below. 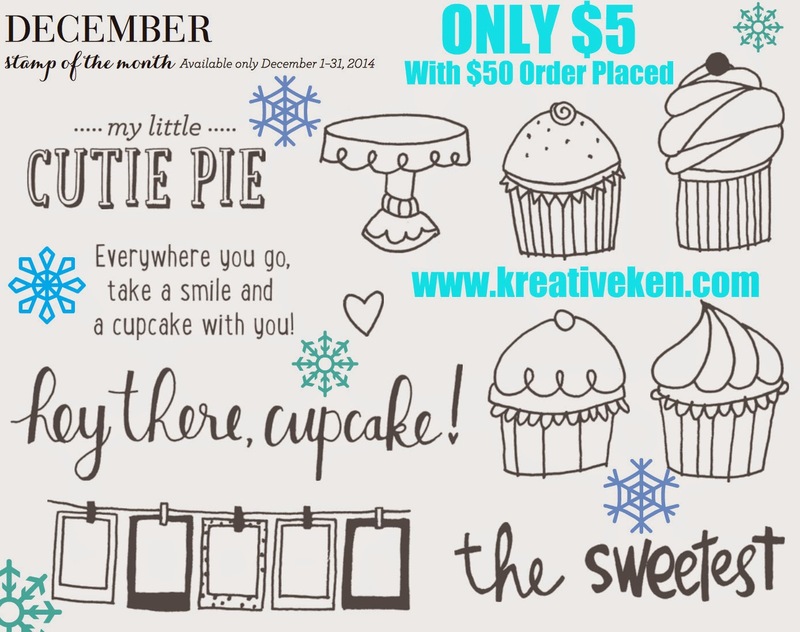 Any purchases from the links below help support Ken's Kreations! !